Paris after World War I was teeming with Americans. Bon vivants seeking escape from prohibition mingled with artists and intellectuals, all pursuing their dreams in the City of Light. The American Modernist Man Ray (1890–1976) spent the 1920s and 1930s in Paris, where experimental expression was flourishing. While he considered himself to be primarily a painter and also worked in film, sculpture, and collage, his best-known and most innovative medium was photography. 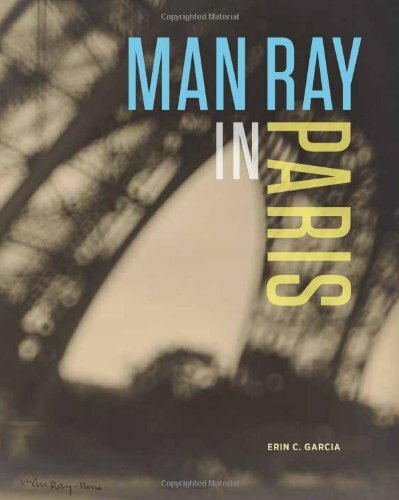 Man Ray arrived in Paris in 1921 full of creative energy. Inspired by Marcel Dutchman's “readymades” —mundane objects that became works of art in the gallery context—Man Ray spontaneously created an assemblage during a party by combining carpet tacks and an iron, which he then photographed. Soon afterward, he began to experiment with cameraless photography and devised his Rayographs— abstract images produced by placing objects directly on photographic paper and exposing it to light. He eventually became an influential figure in the city’s avant-garde circles and began to make striking portraits of many of its luminaries, including Pablo Picasso, James Joyce, Jean Cocteau, Joan Miró, and Gertrude Stein. His work inspired other photographers and encouraged painters, including the Surrealists René Magritte and Salvador Dal , to experiment with the medium. Through its fascinating text and numerous photographs, this volume vividly demonstrates why Man Ray is still considered to be one of the most inventive and exciting artists of the twentieth century.